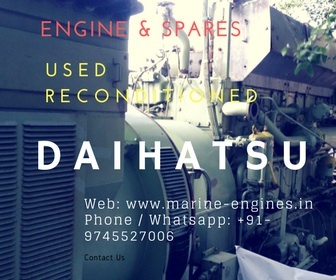 We specialized in supplying used / recondition and unused spare parts for all types of Daihatsu Marine A/E and M/Engines. These are some of the major parts we listed here. We source spare parts from Ship recycling yards and the parts supplied by us are fully tested and guaranteed. Contact us for price and delivery terms. 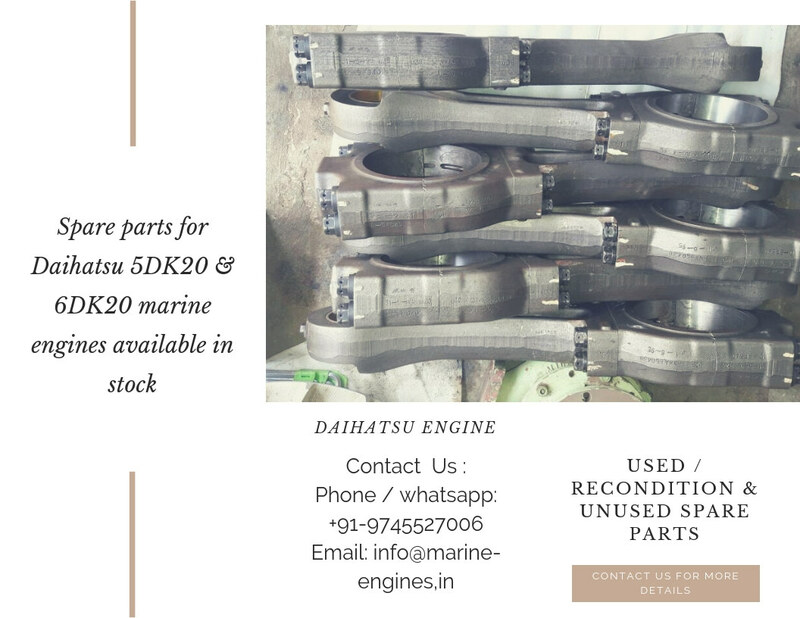 Also available other major and minor reusable / reconditioned spare parts for all types Daihatus Marine Engine / A/ Engines. and many more parts. 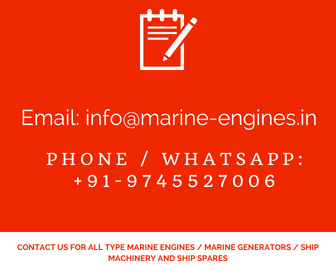 These are used genuine reconditioned parts properly tested by professional skilled marine engineers. 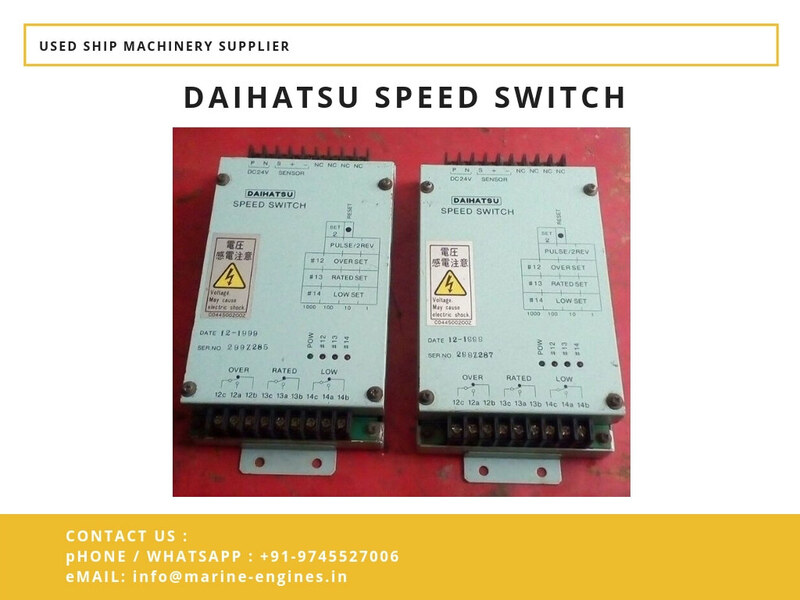 Contact us for any Daihatsu marine engine/generator or spare parts. Sourced from Ship Stores at ship recycling yards. If you require any of the above or all parts and even if didnt able to locate your required parts in above list, do let us know. We will get back in touch with your with competitive price of required parts for Daihatsu Diesel DK28 spare parts. 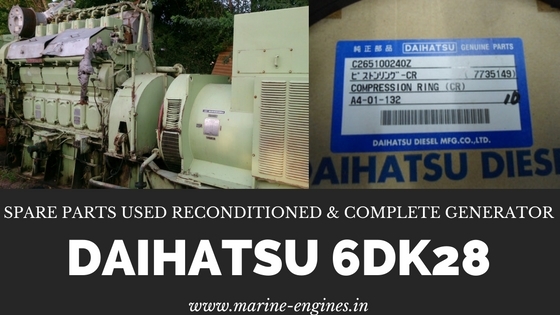 Daihatsu complete generator / engine and spare parts available for sale. The generator is in excellent working condition. On demand only engine also can be supply. 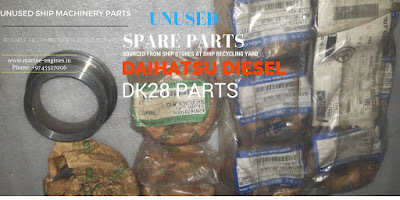 We also supply used / unused genuine Daihatsu 6DK28 spare parts. 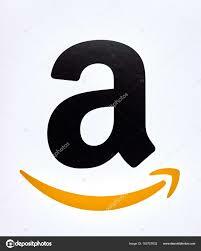 Contact us with complete details of your requirement.